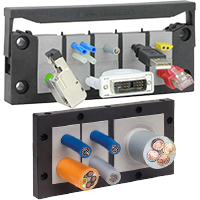 Split Cable Entry Frames - Patented cable entry system enables the user to enter, seal and proved relief for cables with and without connectors. 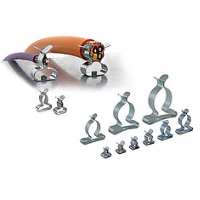 The split frame and slit grommets provide quick, cost effective routing and alleviate the need to cut and rewire pre-terminated cables. 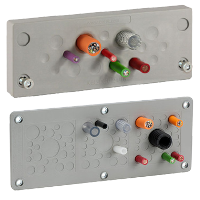 Cable without Connectors Entry Plates – Entry plates designed to route and seal cables without connectors in limited space. A solid robust frame increases strain relief for the routed cables. Assembly can be done quick and easy, simply make a small hole in the thin membrane and push cables through.